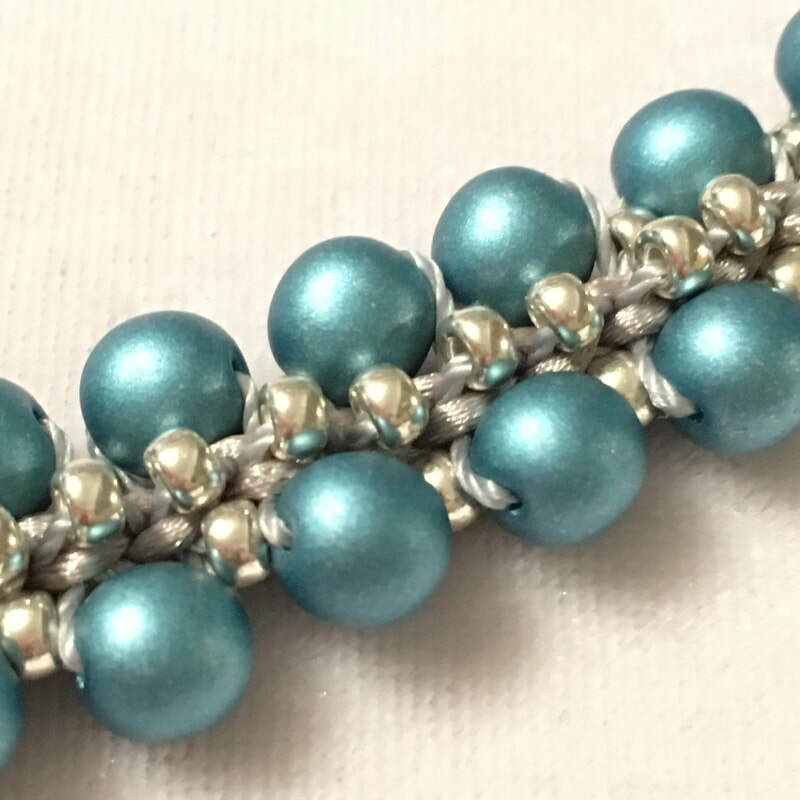 In this lesson you will learn to make add beads to the basic kumihimo 8 strand bracelet. This four hour session is a great introduction to using the Prumihimo disk. Prumihimo is a new way to create a classic 8 strand non twisted braid patented by Pru McRae. Liz will guide you through this braiding method and using the patented disk face to face. Pru offers excellent video tutorials on her YouTube channel so you can carry on with your Prumihimo after your session. You can complete this as a single half day session, split across two 2 hour sessions or extend to a day so you can finish your project and combine this with another of our sessions. Do I need to know anything before tackling this session? Yes, we recommend that you complete the Simple Braid session first so that you are familiar with the standard braid and moving cords on a kumihimo disk. This lesson costs £5 for the tuition. Bead packs can be purchased from £3 depending on the beads you wish to use. A variety of fittings are available to purchase if needed. Glue, scissors, tape measures, pliers etc are all provided to use when on our courses. For sessions held at our main venue we even provide the teas and coffees. What if I want to make more?